Father's Day is right around the corner. 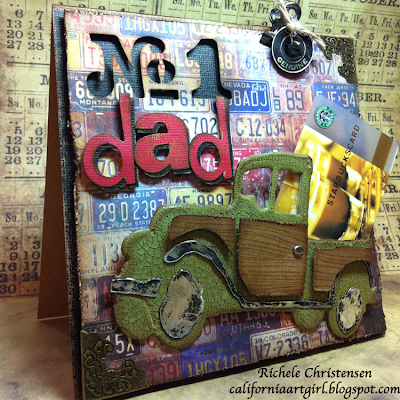 So get ready and make dear old Dad a card. 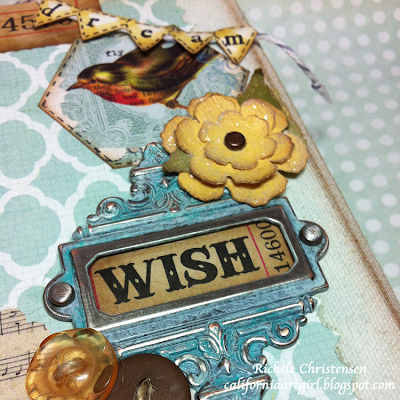 If you head over to the Sizzix blog here and you can see how to make this Vintage Jalopy card using some of the new and old Tim Holtz Alterations die cuts. 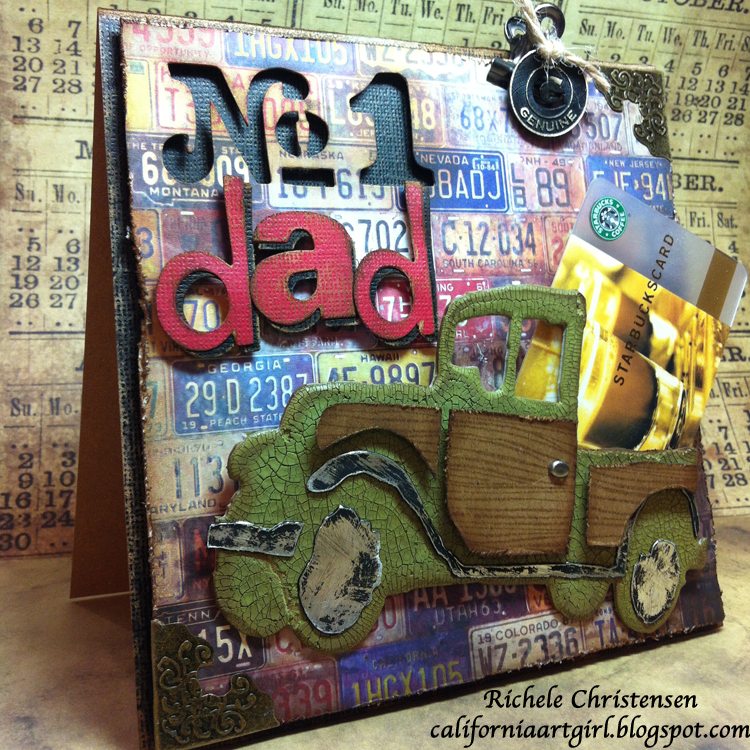 Show Dad he's Number 1... make a card for him. He'll love it! The Design Team challenge at Inspiration Emporium for May is flowers. I love flowers! 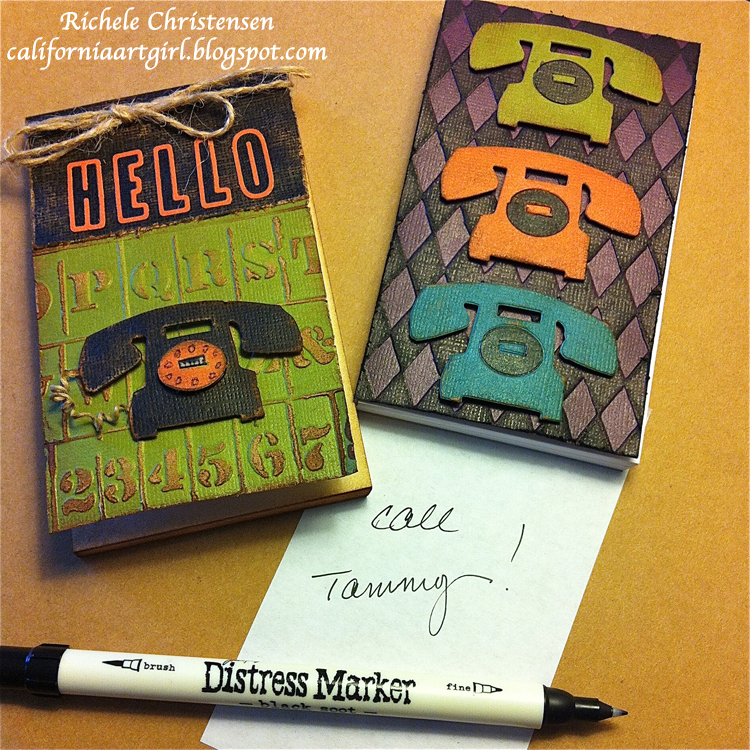 Here are a few cards I made using some Dylusion stamps. I've been dying to use them. 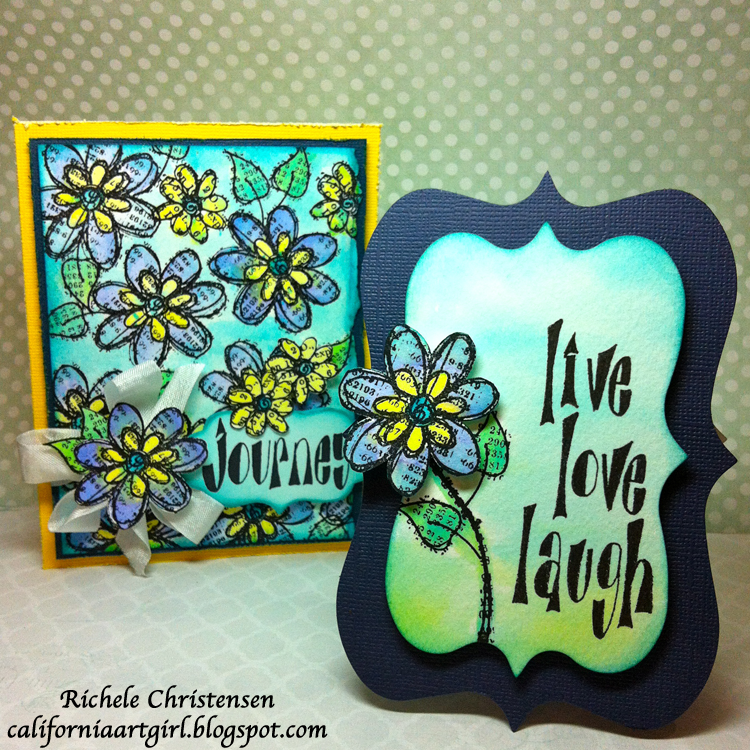 I made the yellow card first by stamping several flowers onto watercolor paper to create a background with Jet Black Archival Ink. I used Archival Ink because I wanted the ink to be waterproof so I could use the new Water Brushes by Ranger. 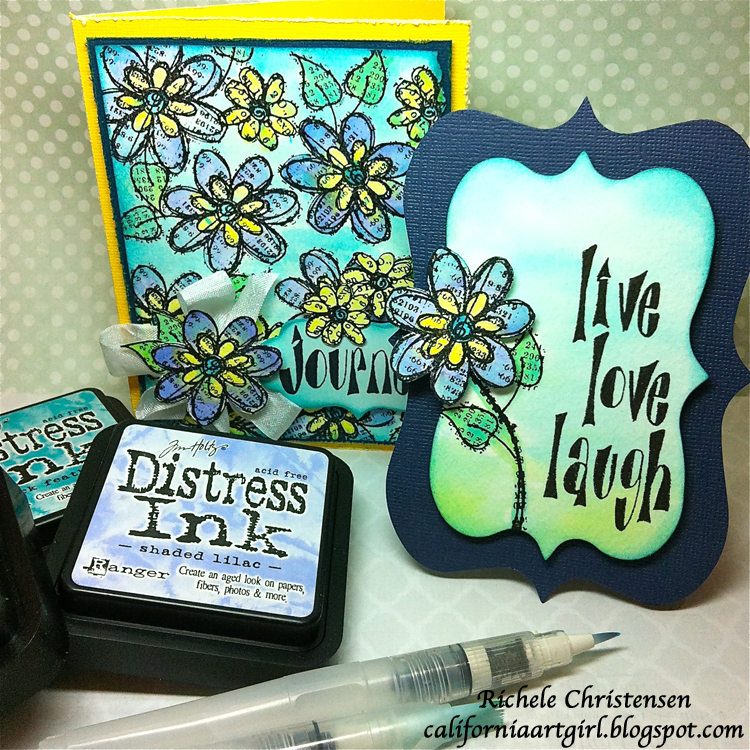 Color the flowers with the NEW Seasonal Distress Inks. 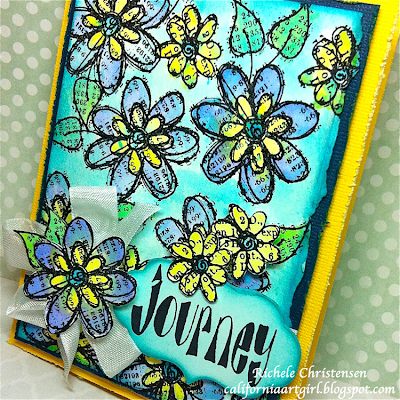 Love the bright colors. I started by applying a little ink directly to my craft sheet. Using my Detail Water Brush I picked up the ink and colored my flowers. 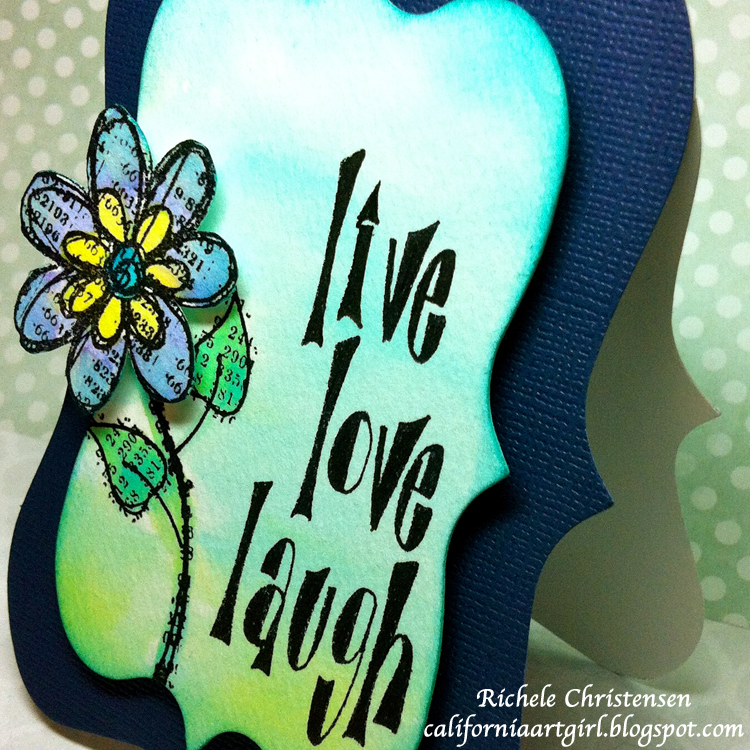 For the background I watered down the ink with the 1/2" Flat Brush so it would be lighter. This brush is amazing for doing large areas. 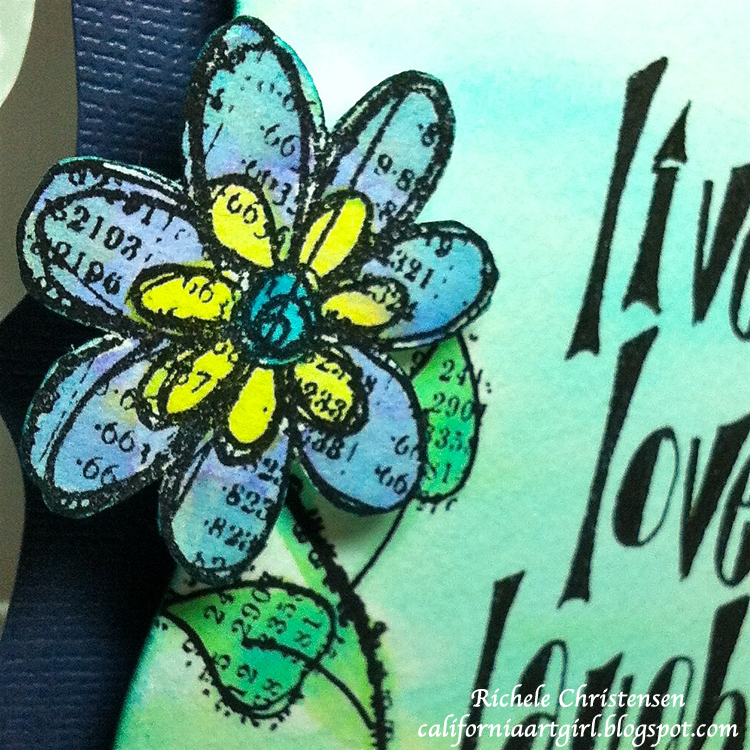 I also stamped a few extra flowers and cut them out to add a little dimension to my card. 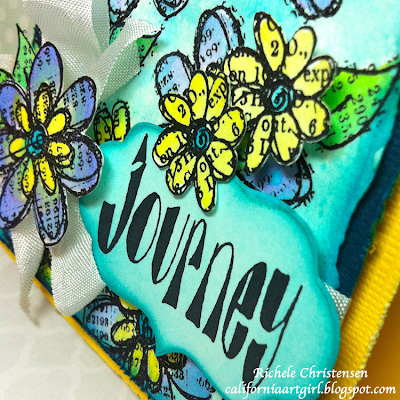 The word Journey is stamped on a die cut Styled Label Movers and Shapers than I inked it with a blending tool using Peacock Feather Distress Ink. For this card I had an extra flower and I couldn't let it go to waste. The card is die cut using the Ornamental Movers and Shapers die. I die cut one from white card stock for the back of my card and one from Chipped Sapphire Distress Coredinations. The white card is scored about 3/4" down from the top and glued to the Sapphire card only at the top. 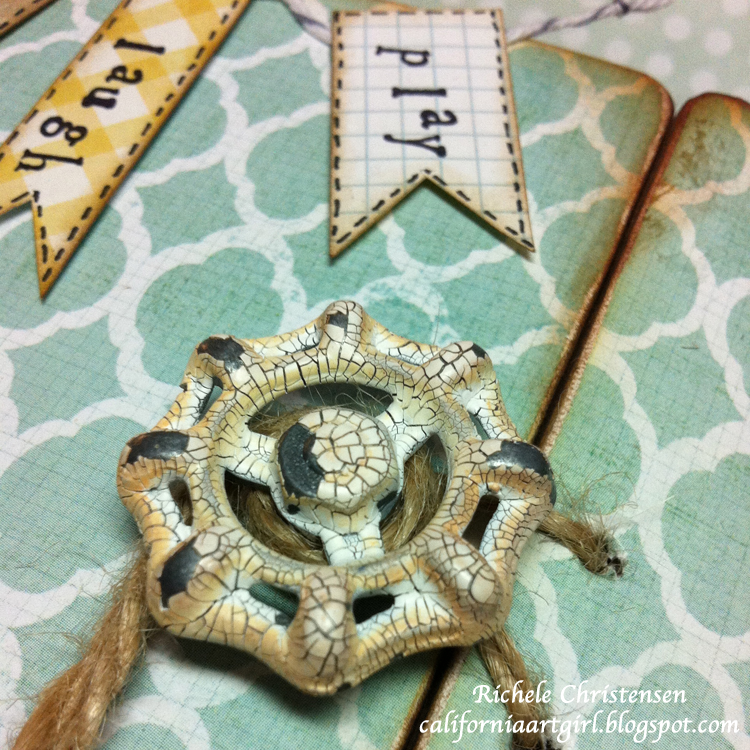 From watercolor paper I die cut the Mini Ornamental Mover and Shapers. I did a wash for the background using my 1/2" flat water brush. Next stamp the stem, leaves and words on the background of the watercolor paper with Jet Black Archival Ink. The stem was stamped using one of the leaves stamp but do not ink the leaves only the stem, I had to stamp two times to get the steam long enough. You could draw it in too. 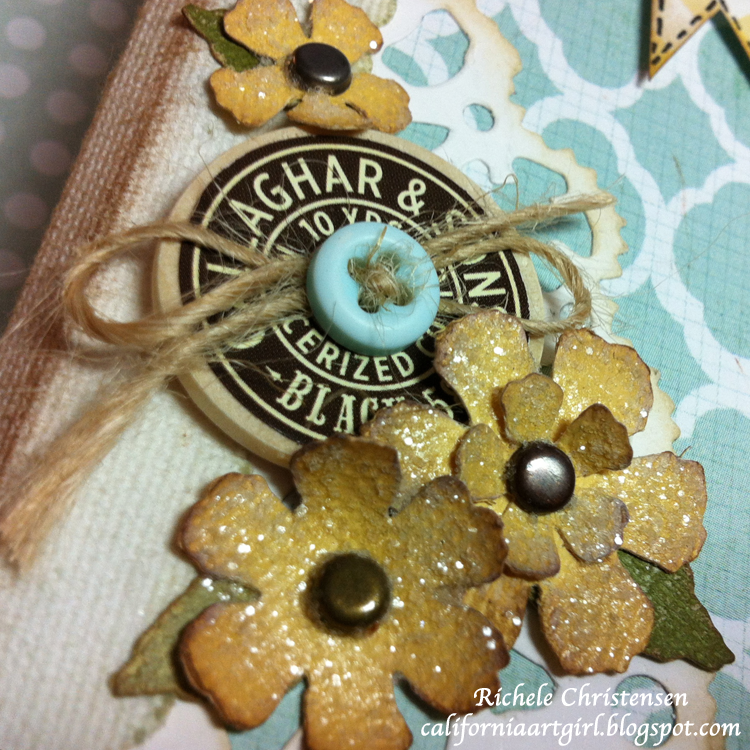 The flower is pop dotted to the card. Head over to the Sizzix blog to see how to make this fun project. These little note pads are great for home, office or a gift for someone special. 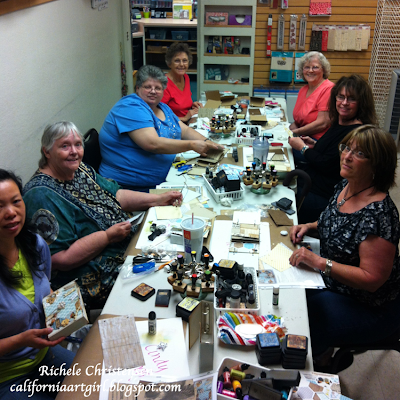 I want to share a few photos from my class this past Saturday at Stampers Corner in Elk Grove, California. I fell in love with this paper line "Follow Your Heart, Be Amazing" form My Minds Eye back at CHA in January. I knew when I saw it it would be great for a Journal. 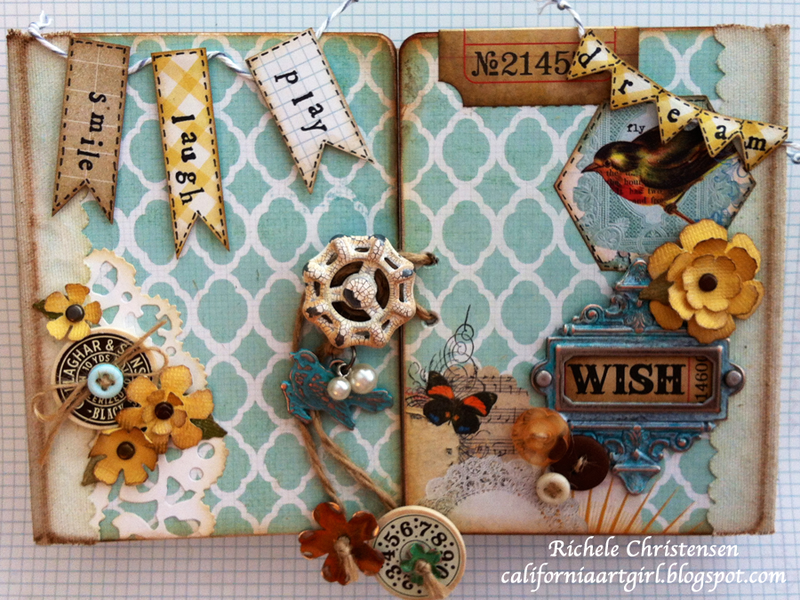 The covers are from Wendy Vecchi's Art Parts and of corse lots of Ideaology from Tim Holtz. 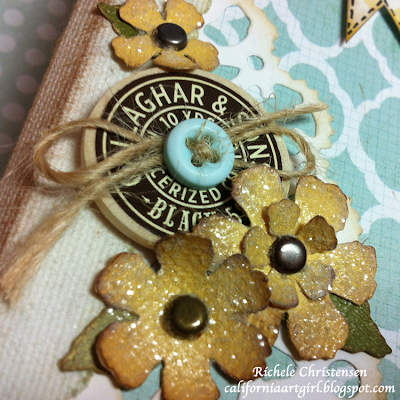 Flowers from the Sizzix Alterations line "Tattered Floral Garland" with Rock Candy Distress Stickles. The new Faucet Handle is from Tim and Picket Fence Crackle Paint finishes it off for a vintage look. Here's the ladies working away! 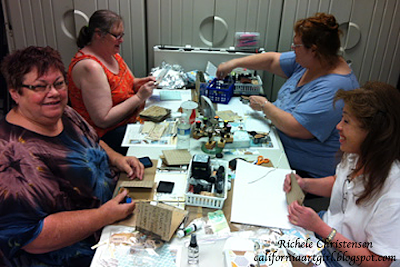 They had such a wonderful time making their version of the Journal. Thanks for spending the day with me. 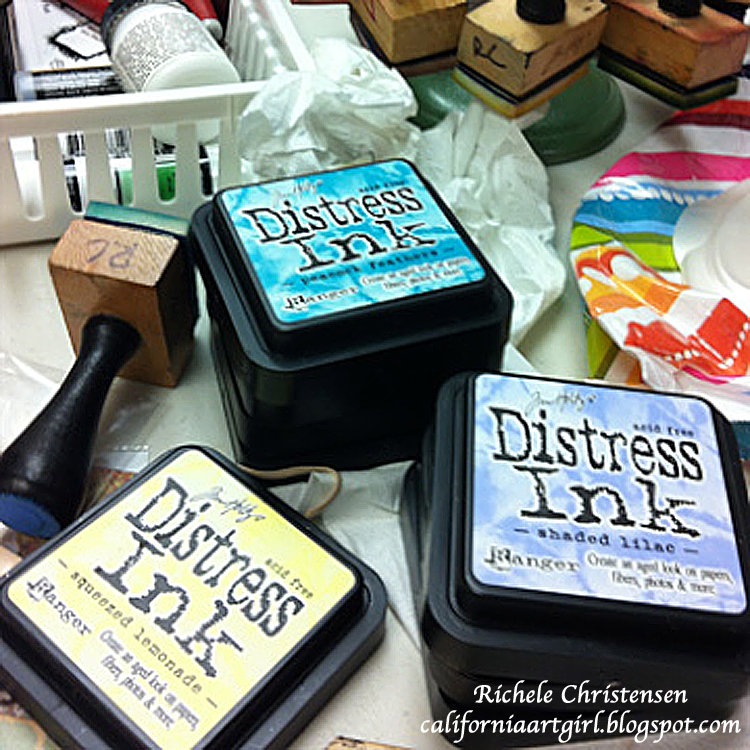 They even played with the new Tim Holtz Distress Inks! I hope that your are all spending the day doing what you love. Whether it's spending time with family, creating in your studio, or just relaxing make it a good one.